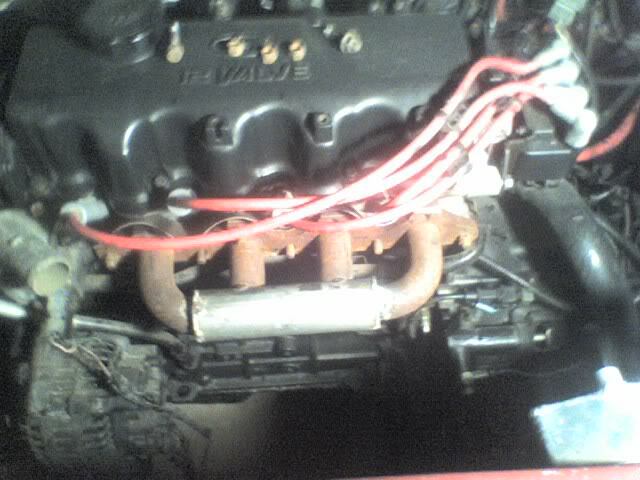 This time the manifold build is just about done. In the pics its only tacked togother for fitment testing but i dropped it off today at my Dads house and hes going to weld it up this week so next weekend i should be putting it all togother. Hoping to get dyno tuned just after the new year..... Yes the manifold is made of mild steel and we cut the flange out of 1/2 mild steel (drill pressed holes). This is all for my hyundai accent 1.5sohc thats built quite a bit, i've got an older post detailing info. Nothing wrong with mild steel manis. You will want to clean up the runner to mani connections on the inside so they have a smoother transition, and make sure the flange is still flat after he gets done welding. yeah we will have to clean up those holes and clean up inside the large log when we cut it open for the collector flange. Should work nice those its just a small engine. Alright all my test fitment has begun! I have a little bit of grinding left to do on the manifold inlet pipes and at the collector but all in all its almost done. 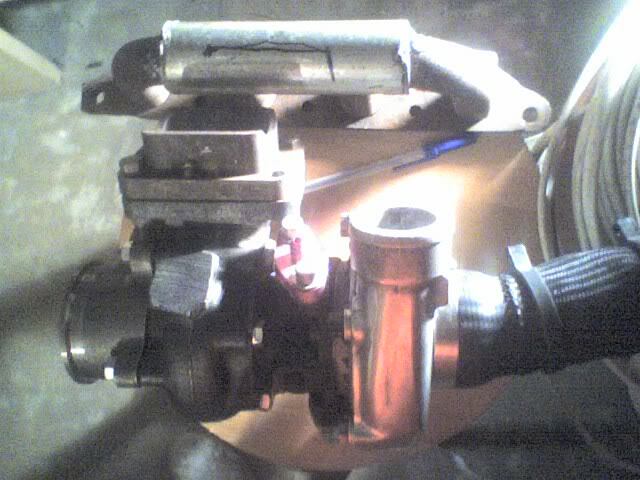 I got my wastegate modified (extended arm, modified bracket) and have my oil line ready to go (oil inlet). 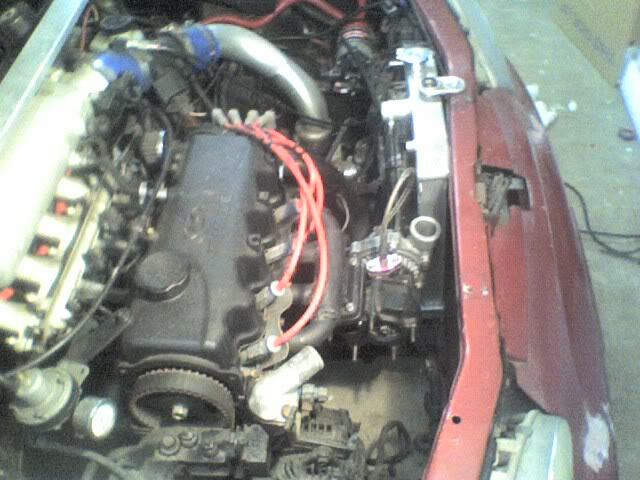 Everything fits pretty nice with the exception of the wastegate bumping the crank position sensor but its no big deal. Heres a few pics im going to try to get the rest of the grinding done tonight/tommorow night and have it started this weekend (hopefully). Thanks! Finished all my grinding last night so I'll start putting it back togother and add pics of the progress throughout the weekend. Lost my c-clip for the swingvalve so i gotta go get another one in the meantime. 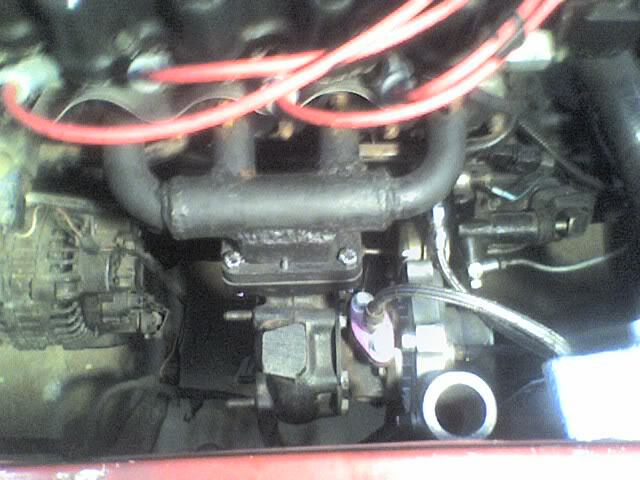 Everything fits pretty nice with the exception of the wastegate bumping the crank position sensor but its no big deal. Looks good for a budget built HMT! But I'd be very weary of this, the crank position sensor is the only sensor on the engine that will cause the engine not to run/start if it's defective, and you don't want to be left stranded. Any other sensor you can deal with, limp mode is tuned in for that reason, but not the CPS. Otherwise, good luck!